Soothe, relax and indulge with the crème de la crème of manicures. Receive unparalleled exfoliation, hand mask offering moisture & protection while revelling in a hand & arm massage designed to reduce stress and relieve tension. Experience the quintessential manicure including exfoliation and intense moisture combined with relaxing massage techniques. In a rush, but still need a quick way to de-stress? The OPI ProSpa Express Manicure is perfect. Featuring essential OPI ProSpa products and techniques in a condensed service. Experience the preparation of an OPI ProSpa Express Manicure with an added OPI Gelcolor finish to get a longer lasting* effect. Applied from a bottle like nail polish, this product is cured using a LED lamp. 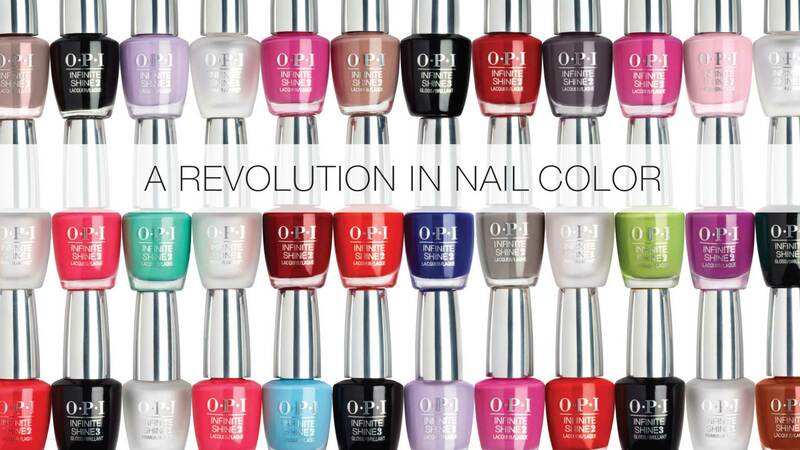 All the original favourites from the OPI range available in OPI Gelcolor. The ultimate pedicure experience to soothe, relax and pamper. Includes unparalleled callus softening, exfoliation and moisture heat mask & protection. An extended massage combined with acupressure to relieve tension will leave you feeling relaxed and renewed. Experience a new standard in pedicure services with the OPI ProSpa Signature Pedicure. Includes specialised products to soak, exfoliate and smooth callused feet. Experience a tailored massage to reduce stress and relieve tension. The Express Pedicure featuring essential OPI ProSpa products for those on the go but still wanting a spa pedicure experience.